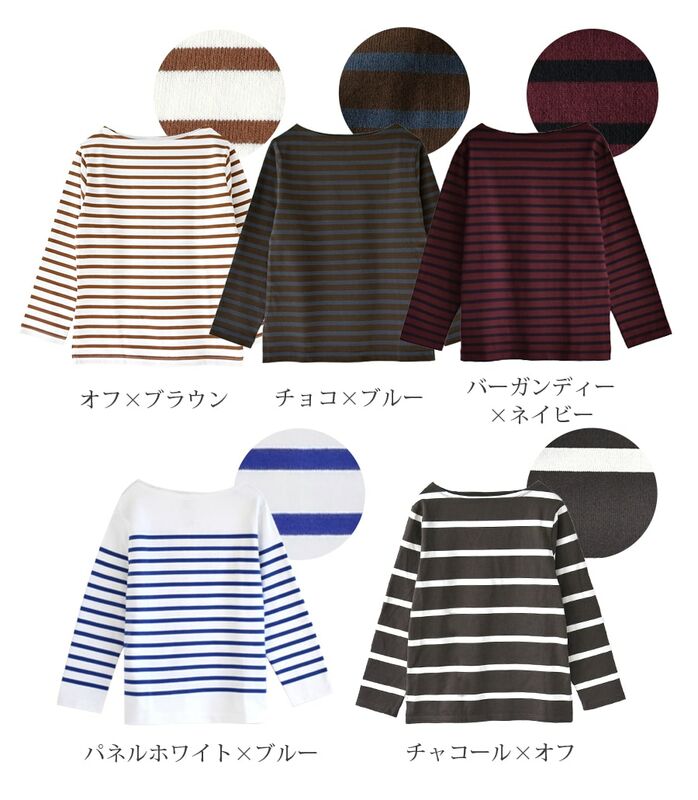 I want to enjoy the pronoun of refreshing casual clothes, "Basque shirt" every day. It is our store original brand to have been made with such thoughtZootie (zoo tea)のBasque series. Can enjoy it to all of you with the basque cloth with the atmosphere with simplicity brought back to the origin willingly. But I send a sparse thread of the thickness with the tasteful cloth which let finish, French spice work by a traditional spinning method as much as possible visually because it wants to be "the orthodox school". As for the basque series of our store, this is great! A variety of colors, size development, it is selection of charges of the enhancement together. I send it in new color development every year to cope from a constant seller to seasonal coordinates. Furthermore, as for this Basque shirt, the size development presents S, M, 3 size of the large size in total, too. Good size to show one's body as a basic thing neatly is the best. It becomes the size development that can choose such a best size as wide one. I wore small size and medium size from tank top. In S, as for the length of a kimono sleeve, length is shorter approximately 5cm than a wrist by the length that half of the buttocks hide. 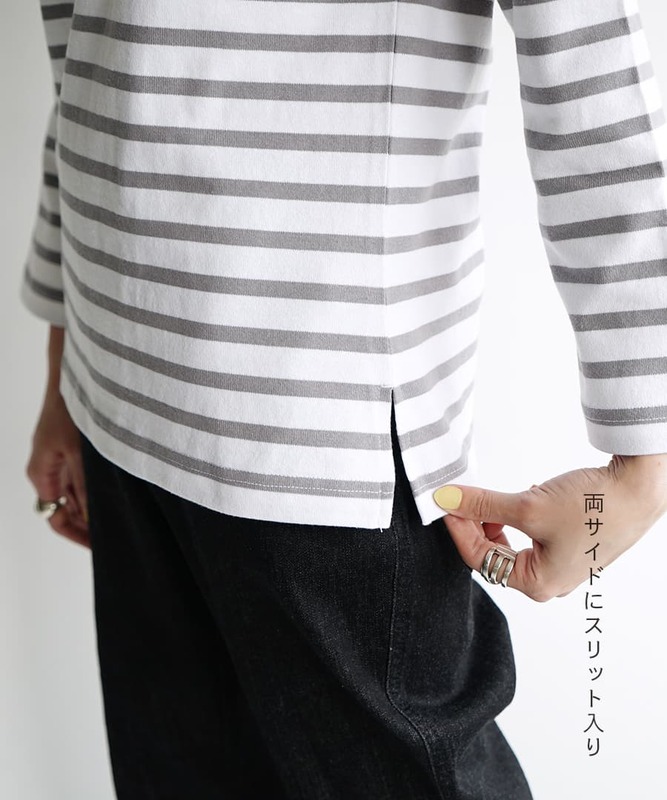 As width of the body and an arm rotation can afford to some, a thin long sleeves inner seems to be worn. 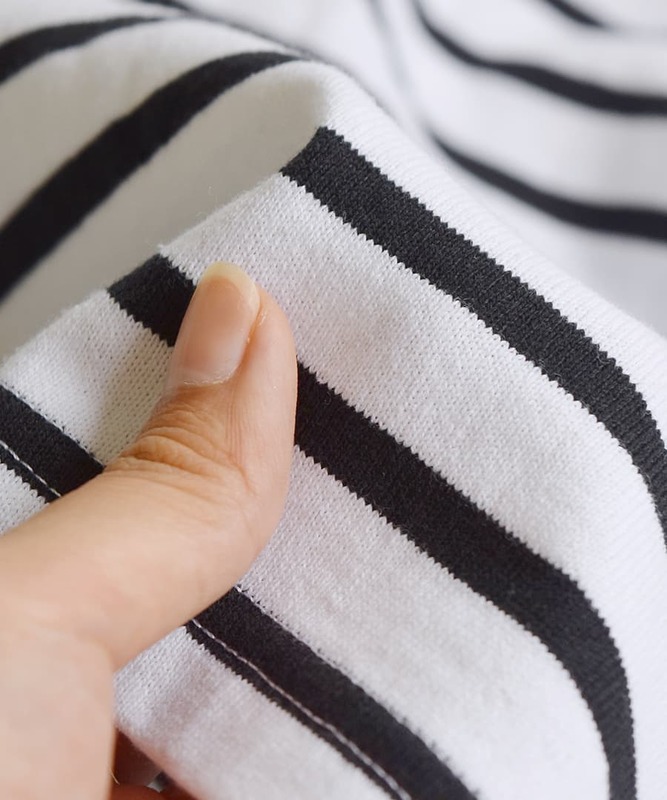 In M, length is the length that two-thirds buttocks are covered, and the sleeve is just the length of the wrist. I was able to afford moderately generally. I do not pick up the line of the body with solid cloth. 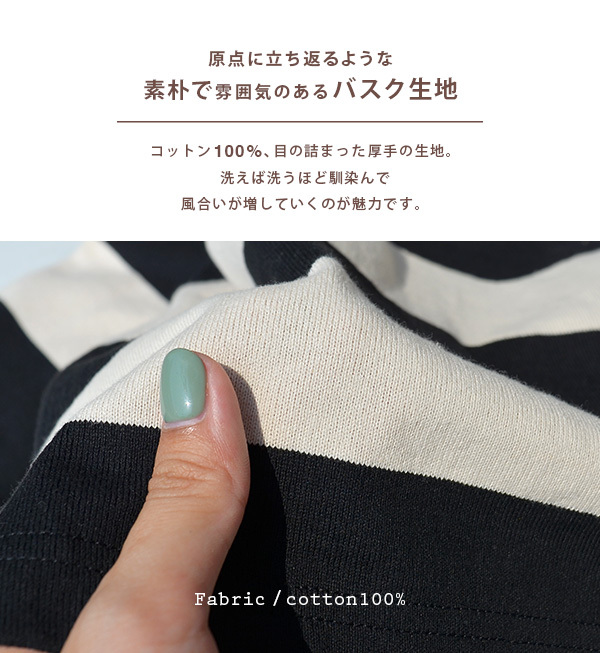 I am glad that it is 100-percent-cotton! 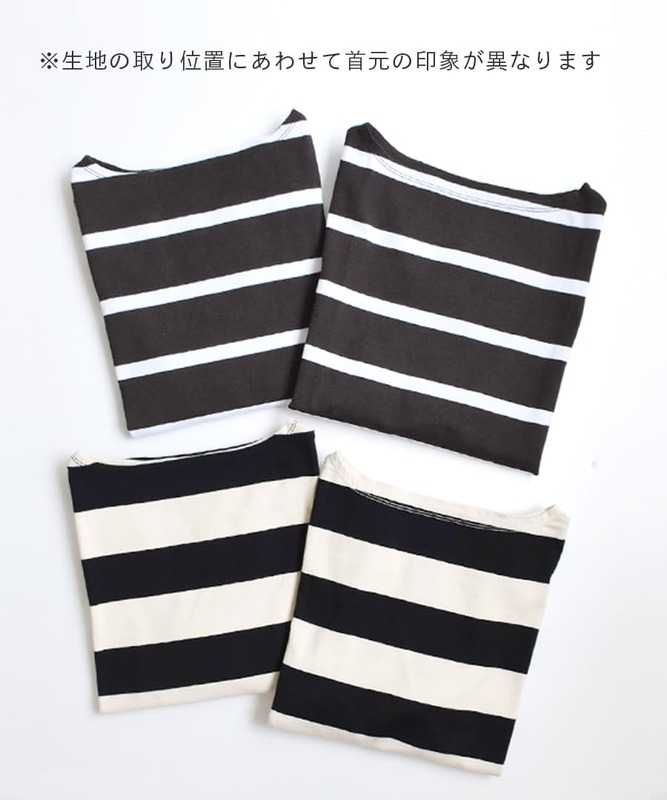 I wore medium size and large size from a camisole. I was okay even if I wore even medium size with one piece in the comfort that there was not of the resistance softly than cloth thought. I did not need to be ashamed to just do the size of the sleeve. 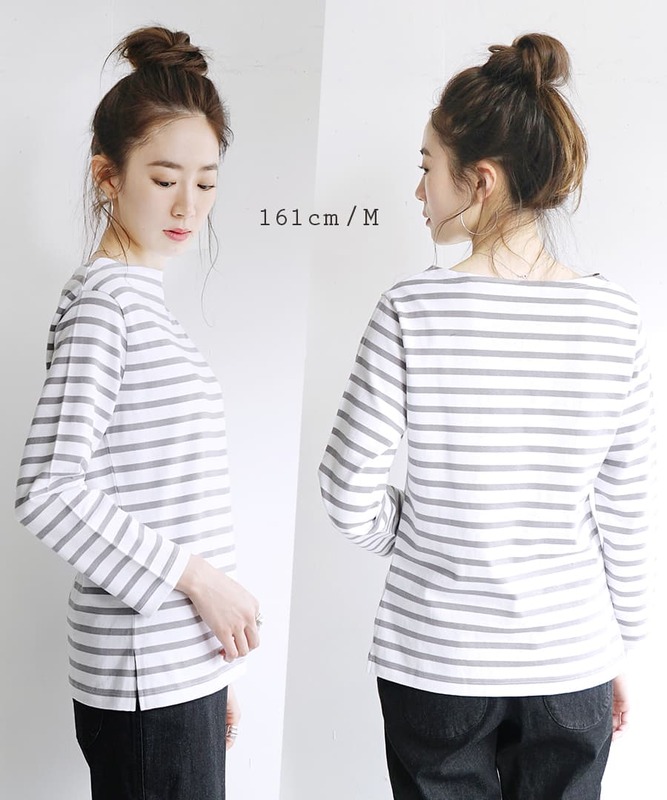 As for the large size, room is born in the body and the hem circumference a little, and this size is more reliable if I put the cut-and-sew of long sleeves on an inner. The length felt a difference in neither the medium size nor the large size very much, but backbone hides. The sleeve was the length that a wrist was covered enough. 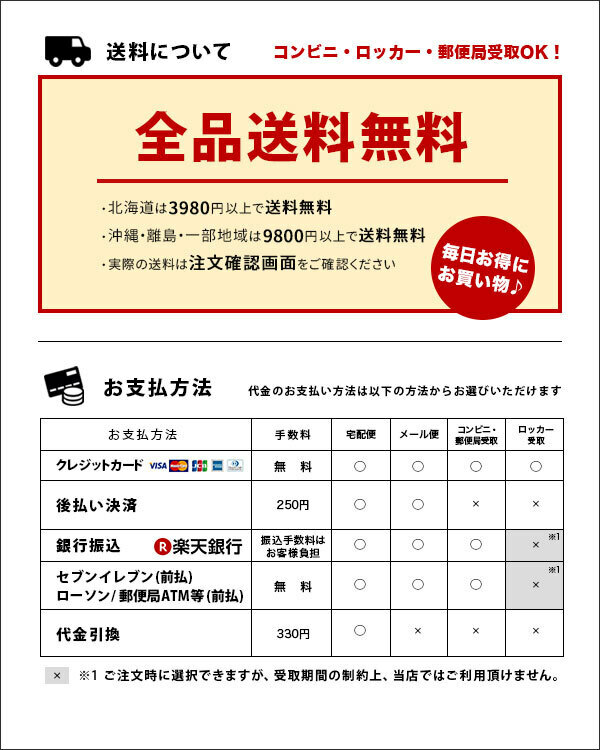 初バスクだったのですが、イメージしていたよりずっと柔らかく、伸縮性もあったのでとっても着心地がよかったです！ If want to wear it at compact めの just size; medium size. 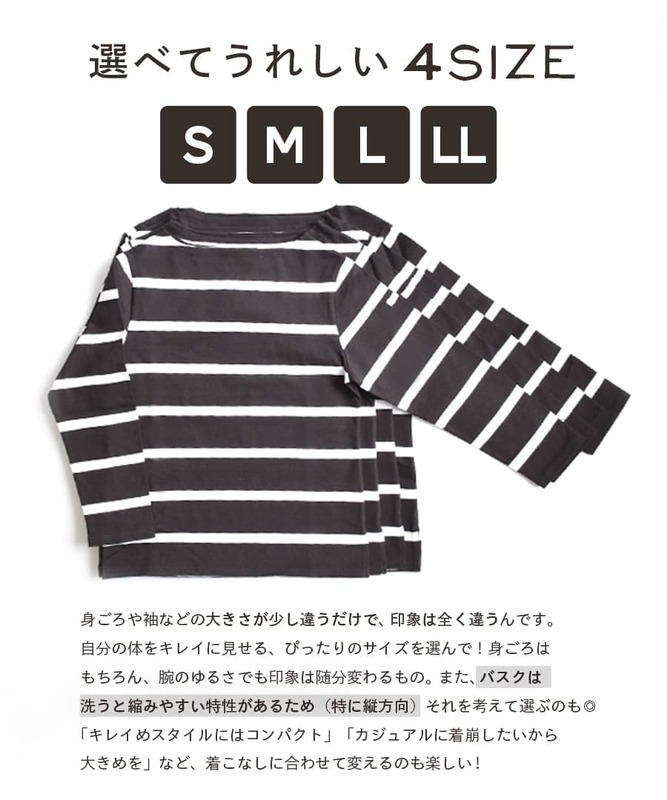 Large size is slightly recommended if I want to wear it having margin. I wore M, large size from tank top. As for the length in medium, a space is over the width of the body than small size so that buttocks cost it a little. A feeling of this size seems to be able to wear shirts inside! The size feeling that was unhurried more when it became the large size. I do not change with medium size so much, and buttocks cost the length. 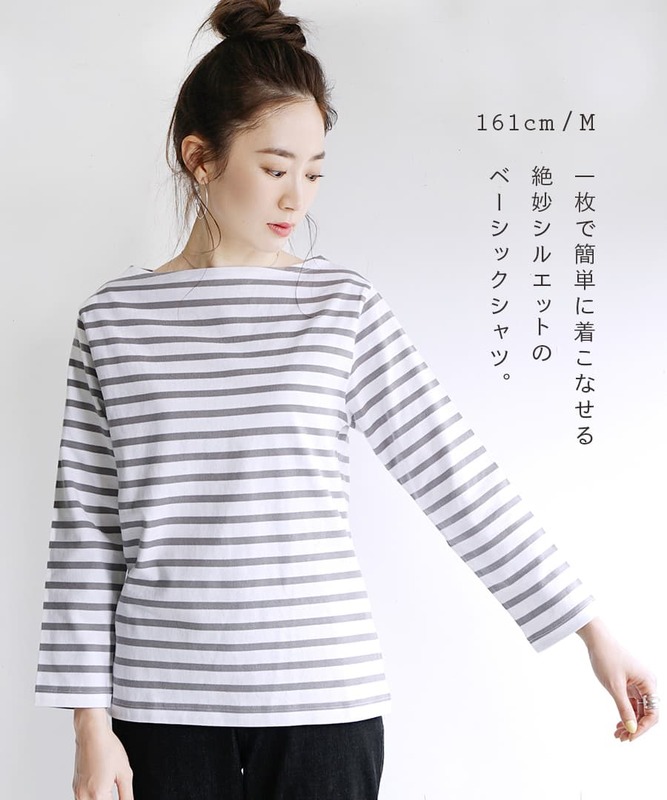 All size did not change so much, and I saw an intermedium clearly, and the sleeve became the length for nine minutes. 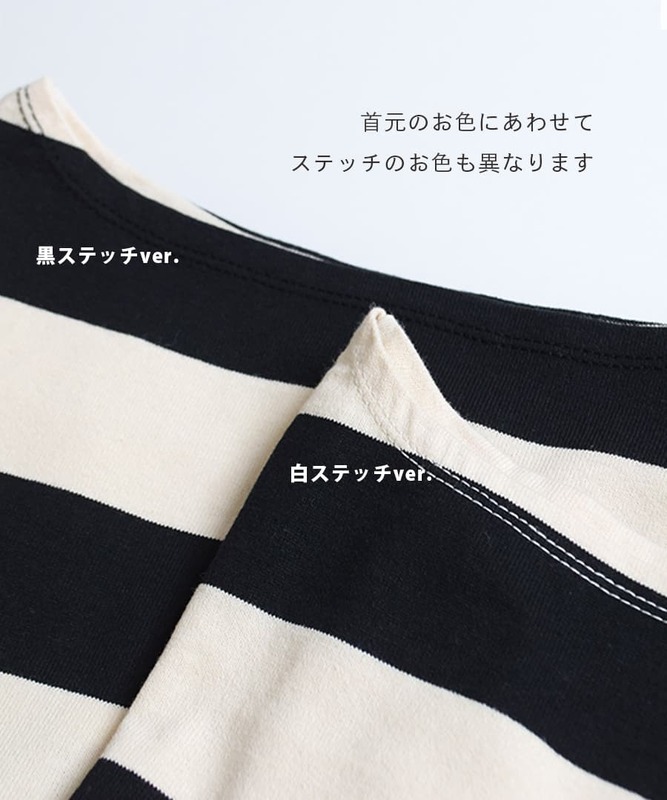 It depends on preference, but the which wants to enjoy medium size, wearing rough relaxedly if I think about wearing it including the shirt is recommended in large size in small size if it is clear silhouette serious consideration.